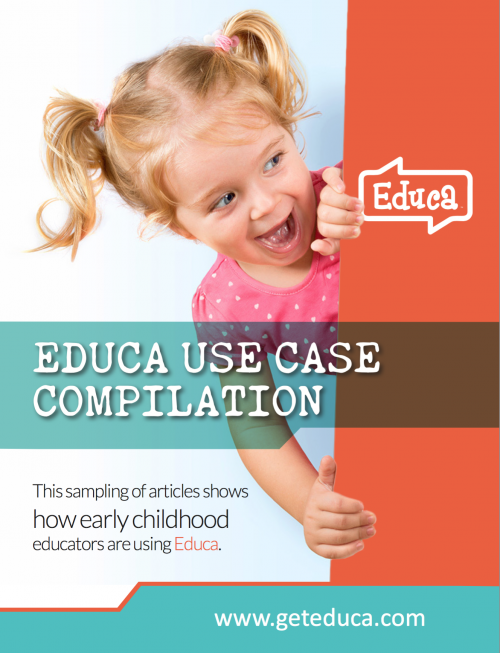 Are you looking to see how folks use Educa? These case studies and white papers will help. We will not rent, share or sell your information to any third party, promise! We LOVE EDUCA. It is superb! Our parents are using it all the time and so are we. It is making life so much easier. Educa gives [new parents] an insight into what we are all about. Sometimes that can be the deciding factor for enrolling. Educa has made our preschool more connected, more efficient and more in tune with parents. Everyone loves it.